Earlier at the office, I decided to clean my desk. Being a book worm and a pack rat is not really the best combination, and through the years my desk’s side drawer has transformed into a mini library with books of many varied topics, it needs its own catalogue. I realized I have most of Jessica Zafra’s Twisted books, including my last purchase, Twisted Tales. I know I still have some of her books at home but I just couldn’t remember if I possessed the Twisted 3 book. It frustrated me. 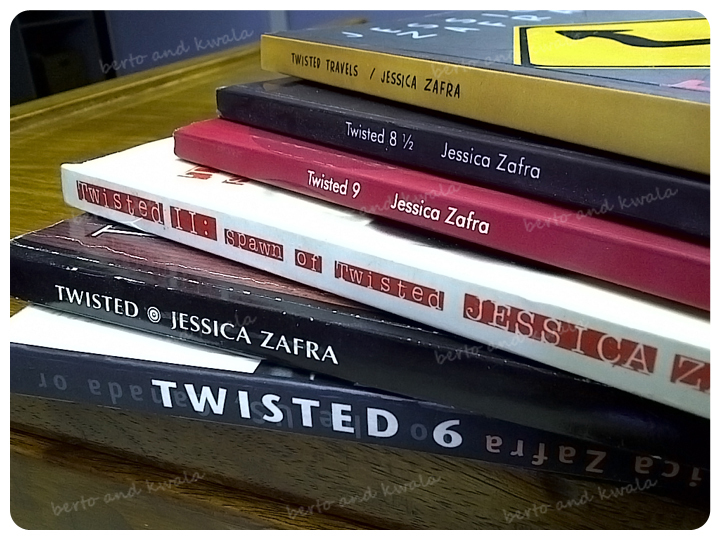 I wanted to run to the nearest bookstore to secure a copy just so I can finally lay claim that I have the whole Twisted Series. Thankfully, I didn’t give in to my impulse to buy. When I got home, I immediately rummaged our room (with Berto quietly shaking his head in one corner) for the rest of Jessica’s books. I almost leapt for joy when I found them, and yes, I already had the third book! Yey! I have been a fan of Jessica Zafra since the first time I read her essays. In fact, she was my first inspiration to start my first blog. I'm not a big fan of irony, cynicism or sarcasm, but these are the endearing traits that reeled me into Jessica’s writing. These are the things I find charming in her… talk about irony huh? 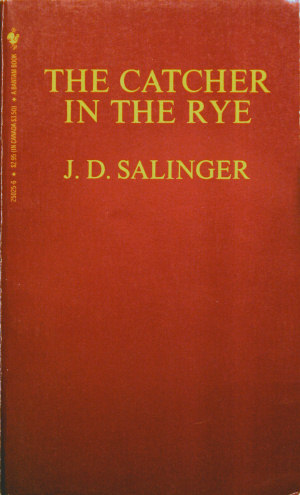 In her books, she mentioned her fondness for JD Salinger’s The Catcher in the Rye a couple of times. I am intrigued. After searching my laptop, I finally came up with an ebook copy of the book. I promptly loaded it to my Kindle and Blackberry. I hope I can find time to read the book tomorrow. Will I also relate to the main character? Will I also find it inspiring? I’m excited to find out! Brad Pitt and Angelina Jolie are Engaged!